I cannot believe it's August 2nd already! We were watching TV last night and a commercial came on that was about Christmas. Some CD or musical thats happening in December. Really? I love Christmas but not this early. My wonderful father remind me that it's in just 5 months! I cannot believe what happened on the Bachelorette. Although this season hasnt been my favorite, this episode was such a heart breaker. I totally respect that Brooks had a gut feeling but at the same time I semi feel that this date would of changed it all. Des openly said she'd married him if he asked. You could truly feel the love she had for him. On Tuesday Brian and I hung out with my two cousins. It came down to going to play mini golf or going to the amusement park. Prices for parks are getting crazy! I told Brian that these "thrill" rides arent as thrilling as they used to be. Brian hates heights (a pilot yet hates heights..) which means the ferris wheel isnt his favorite. The one time he decided to be brave they had closed it for the night. It was so pretty though! This may not seem big to most people but rainbows signify alot in my family. My grandmother used to sing Somewhere Over the Rainbow in front of many audiences. It was her song. When we see a rainbow, we stop and pray. She's saying hello, or she's letting us know that she's there to help if we're having troubles, she's there to let us know that the sun will start shining again. We are fortunate enough that 9 times out of 10 we'll see a rainbow over the neighbors house. When I saw that Kaitlyn posted this on instagram yesterday, I knew I had to do it! It'll be nice to capture a picture a day. I love taking pictures whether it be of other things or with myself in them. I feel pictures tell a story. Some days I barely even pull out my phone yet alone take a picture. 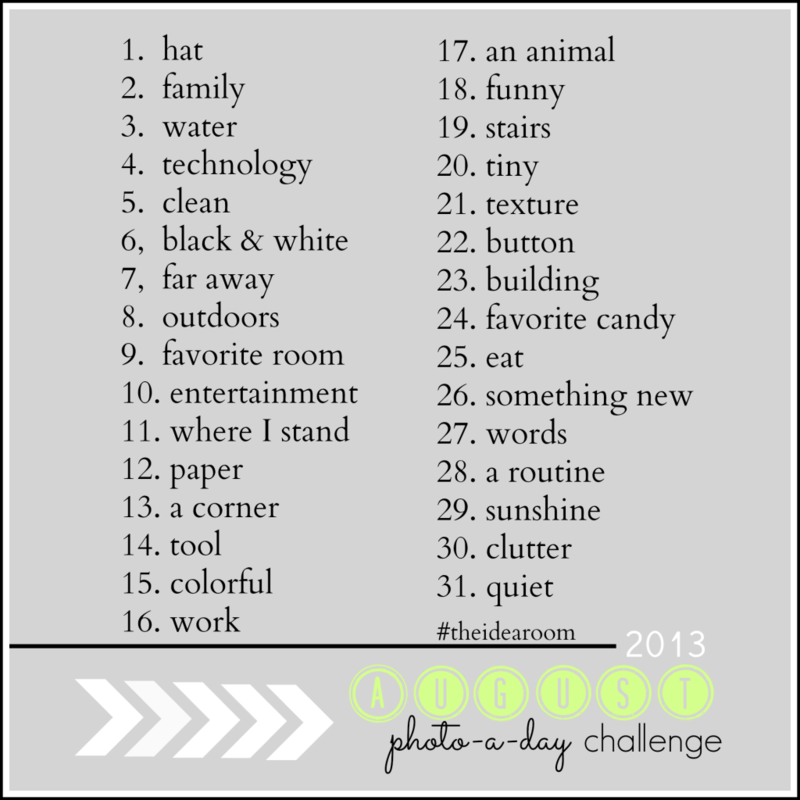 this challenge will make me get out there and start doing what I love. It's just a hobbie but something fun! I was so upset over the Bachelorette! Poor Des. And my dad asked me what I wanted for Christmas yesterday...crazy! I was in Hobby Lobby the other day to look for fall decorations.. and they had ALL of their Christmas stuff out! It was crazy! !